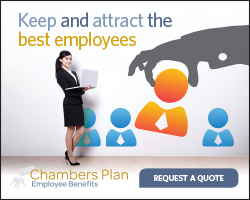 A wide range of benefits are available to you as a chamber member. To learn more about individual benefit plans, please browse the list of links below. Benefits range from discounted gas prices to insurance rates and Visa/Interact merchant rates. Take advantage of these perks. Below you will find the current member benefit programs that are offered. In addition to the benefits listed here, the BC Chamber of Commerce also provides an updated list of additional benefits, which can be found on their Member Benefits page. If you have any questions regarding membership benefits, please do not hesitate to contact us. * The following offers are subject to change without notice. BC Chamber members access exclusive rates on group insurance plans through Chamber of Commerce Group Insurance. Chamber members are eligible to receive discounts of up to 30% off the everyday public web price on a wide range of Lenovo Products, including laptops, tablets, desktops, workstations, servers, accessories, and more! Take advantage of great deals on top products for the home and office. Chamber members also receive: Free shipping on all web orders, monthly limited-time special offers, access to energy-efficient green technologies, and award winning service and support. Every day, the Purolator network successfully delivers more promises to more points across Canada than any other parcel and freight solutions provider. As a member, you may be entitled to even greater value when you choose the Purolator network; with volume discounts on Purolator Express® and Purolator Ground® services. Please visit the members-only area of BCChamber.org to learn more. Petro Canada’s SuperPass is the only one-card solution that gives you access to Canada’s largest gasoline and diesel network. Members receive a 2.0 cents per litre discount on all grades of gasoline and diesel, and car wash. Enjoy the benefits that come with SuperPass, including security, custom reporting, convenience, and cost control. Contact Paul Fox, SuperPass Account Executive at (604) 929-6107 or (778) 837-7080. Access the application form, and submission details through the members only section of BCChamber.org. BC Chamber members receive discounts off the posted pump price for gasoline, diesel, and retail purchases with the Shell Triton Card. To learn more go to http://www.shell.ca/fleetcards. Contact Simplice Traore at 1-800-661-2278 ext. 4696 or by email [email protected]. Staples Advantage is the world’s largest business-to-business supplier of office essentials, print solutions, promotional products and office furniture solutions. This offer applies to online orders only. There are no minimum order requirements! Contact Brian Misener, Business Development Manager, at (604) 251-4343 ext. 17041 or by email [email protected]. Access the application form, and submission details through the members only section of BCChamber.org. Canada’s only national airport parking company, Park’N Fly offers BC Chamber Members exclusive, lower than web rates which can be used for both leisure and business travel. Register online to expedite service, and automatically receive the discount. Please contact the Valemount Chamber of Commerce for the member discount code, or access your free two day voucher and further program details through the members only section of BCChamber.org. The BC Chamber of Commerce hotel and car rental discount program is provided exclusively for our members and their employees. Access worldwide business and leisure travel discounts and car rental discounts. Savings may be as much as 50%, and average 10 to 20% below market rates. Please contact Kevin Armitage at (778) 279-7900 or email [email protected]. To access the Travel Discount Online Feature, visit the members only section of BCChamber.org. Access the application form, and submission details through the members only section of BCChamber.org. Please contact Karim Bassi at (604) 518-2997 or visit the members only section of BCChamber.org. Formerly VersaPay, BluePay has become the preferred payment processing provider forBC Chamber of Commerce Members! BC Chamber Members are provided exclusive low rates on merchant services, credit and debit card transactions and products tailored to suit your business needs. To get started, contact Chris Browes from Kubera Payments at 1-888-318-8729 or visit http://partners.bluepay.com/bccc. Please contact Glenda Plews at 1-877-598-8171 or visit the members only section of BCChamber.org. Call Constant Contact at 1-855-854-8609 or visit constantcontact.com. Spark is our preferred partner for discounted nonprofit and charity insurance. The application takes less than 5 minutes to complete and no obligation quotes are free. All nonprofits and charities are eligible.